S/S May 26th. OTP June 3rd. Open House Sunday, June 1st 2-4pm! 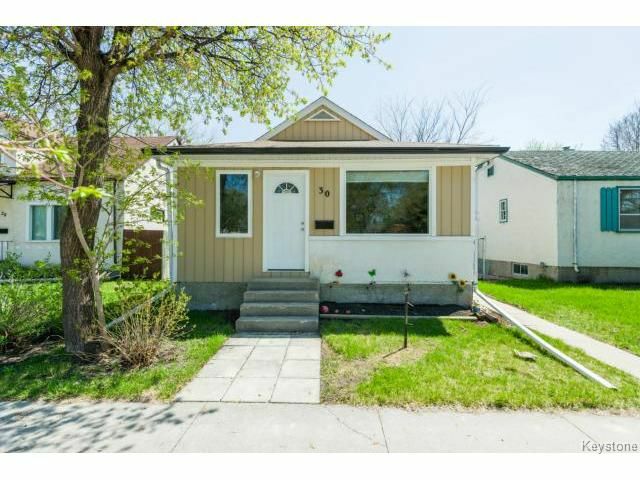 Don't miss your chance to own this fantastic 723 sf St Vital bungalow. With 2 bedrooms and 1 bathroom this upgraded home is just waiting for it's new owners. With New birch hardwoods (2014), A High Efficient Furnace (2009), Central A/C (2010), Triple pane Windows (2012), Shingles (2012), A fully renovated bathroom (2013), new carpets (2014), and much more this home sets itself apart from the rest. Close to shopping, schools, parks and a golf course. You do not want to miss this one!! Call your realtor today to book your showing.